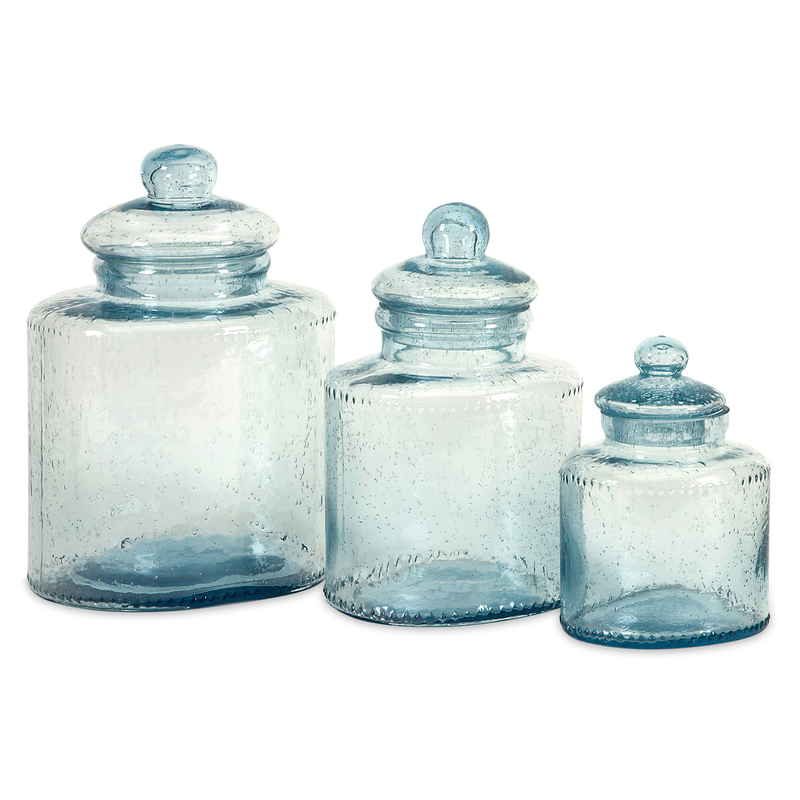 Give your kitchen a beach update with this Set of 3 Aphrodite Glass Canisters. Crafted with stylish bubbled glass, these canisters make a beautiful accent. This coastal kitchen decor ships from the manufacturer. Allow 1 week. Cannot express ship. For additional pieces, we invite you to spend some time to browse our complete range of coastal kitcen decor at Bella Coastal Decor now.